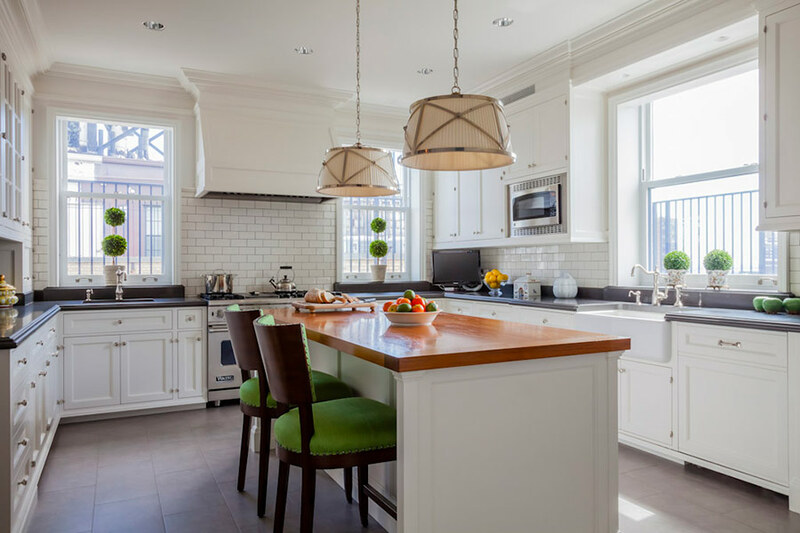 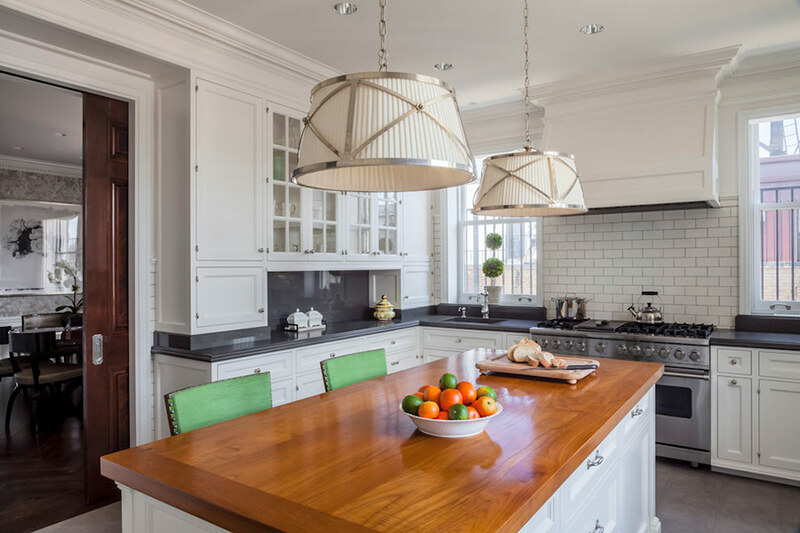 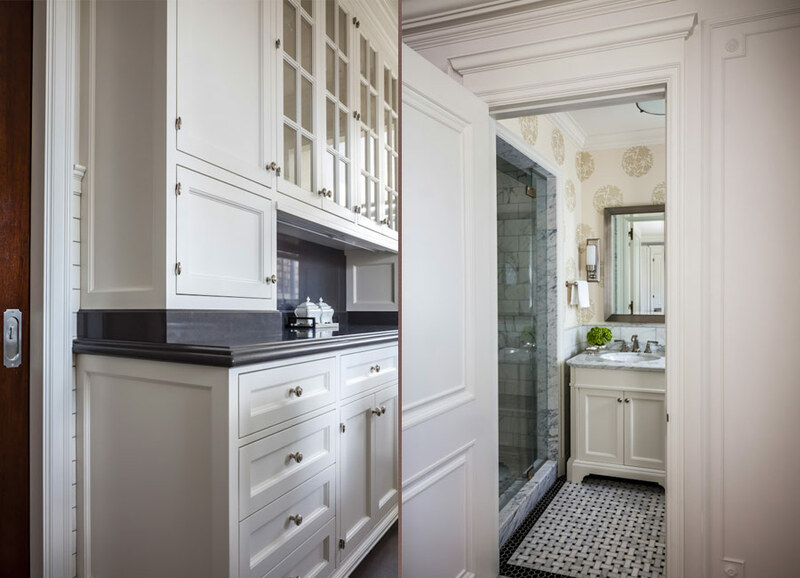 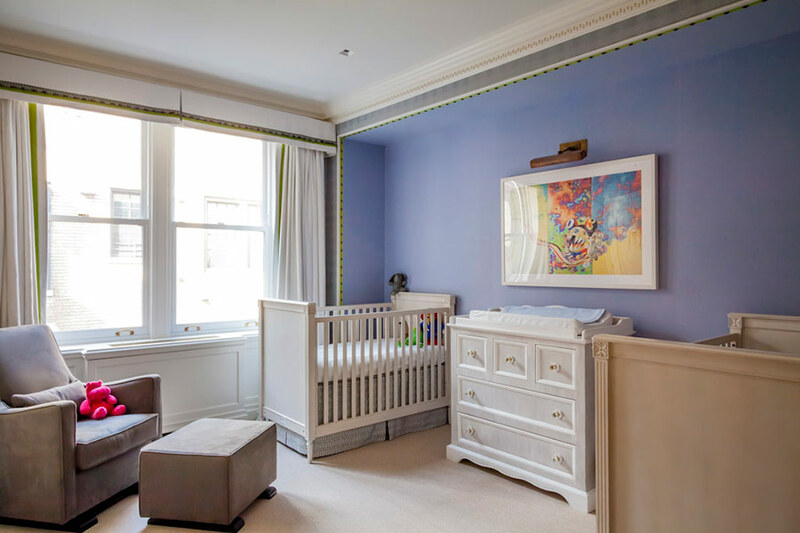 This extensive project, encompassing four years of planning and execution, included a complete renovation and reorganization of the space, merging two apartments into a duplex. 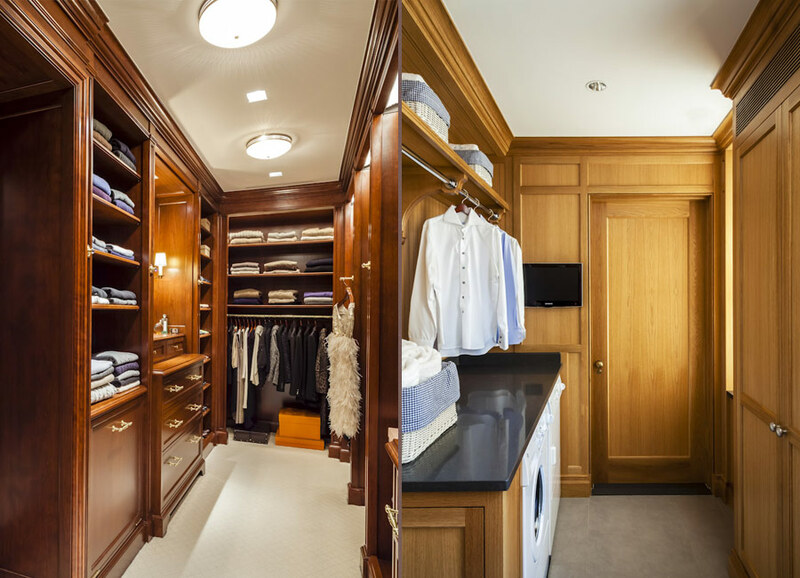 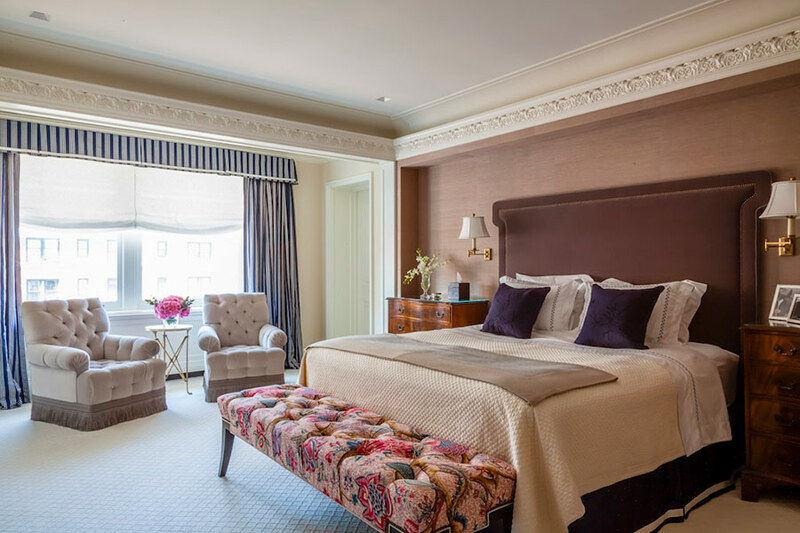 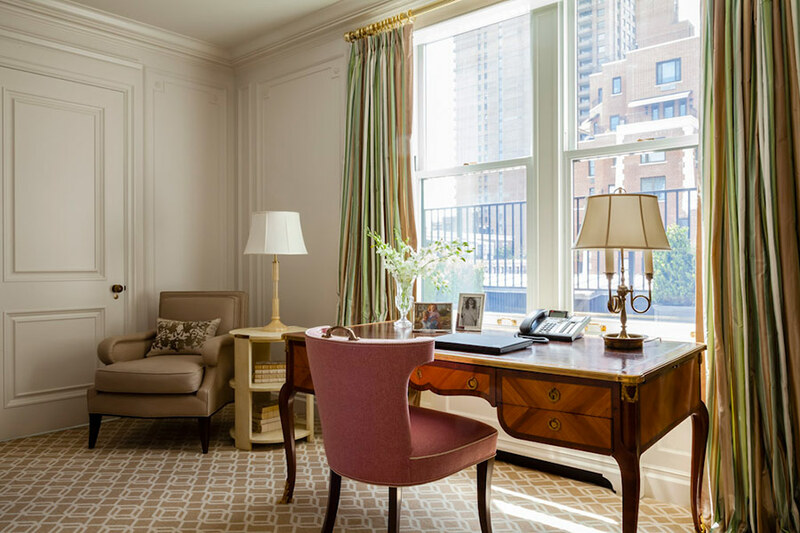 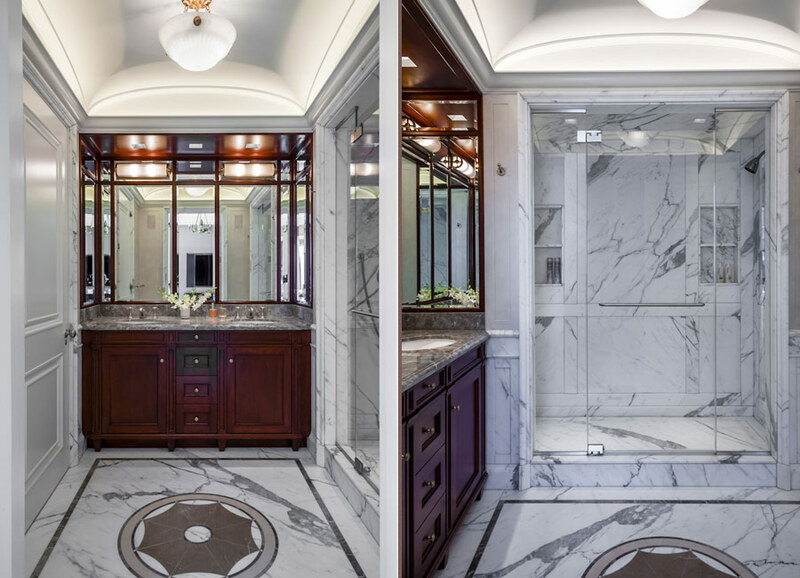 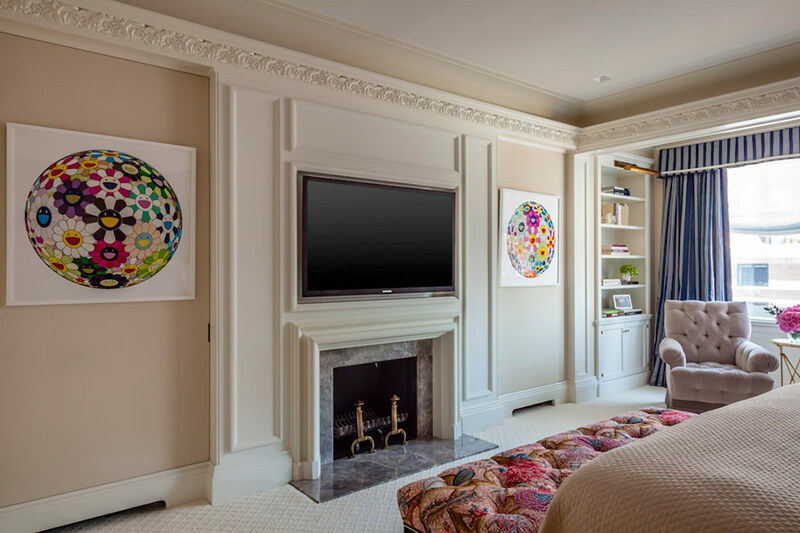 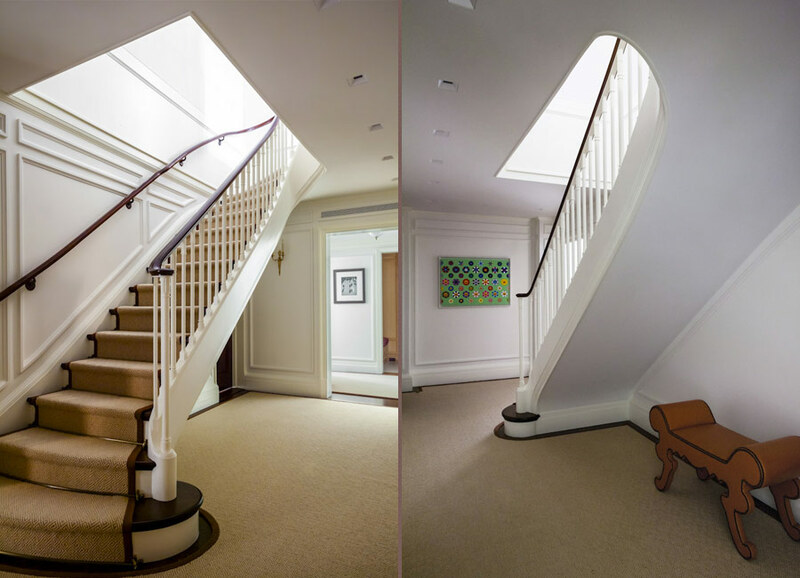 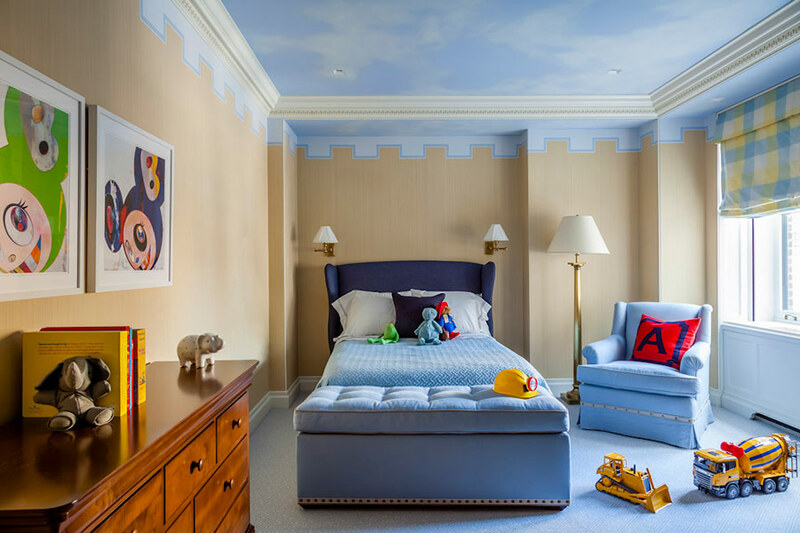 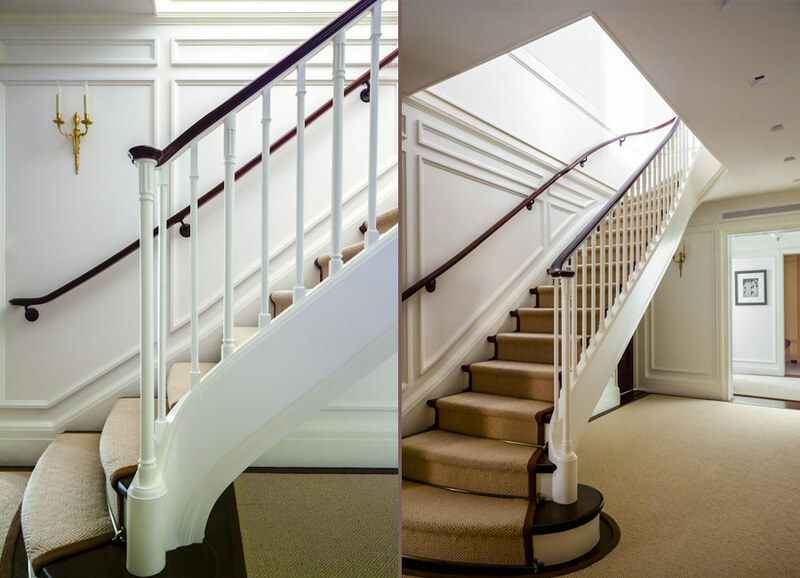 Throughout this project, JWD worked closely with Jon Murray, a premier New York architect, and the renowned Vella Interiors contractors. 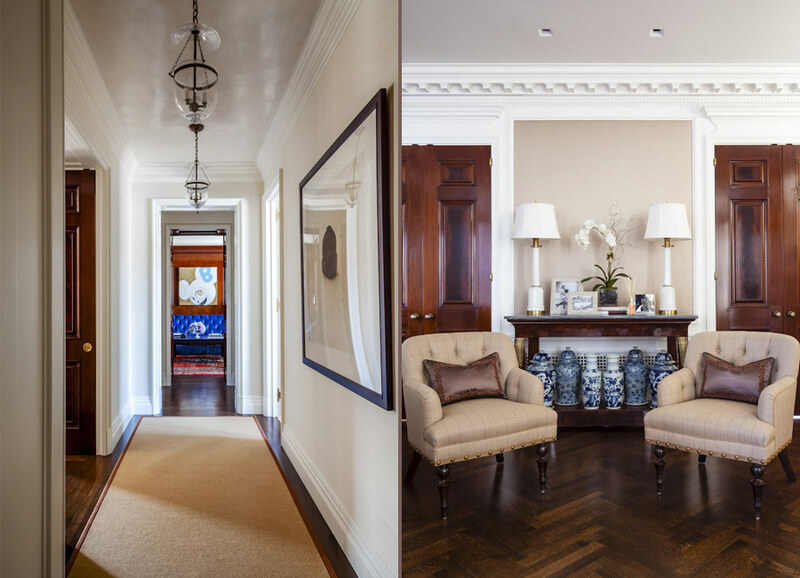 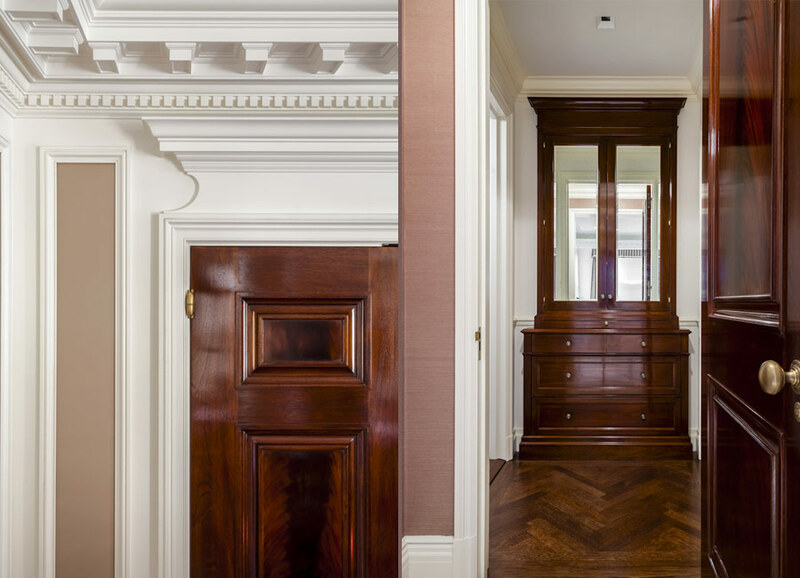 All interiors were custom made, including floor details and hand crafted mahogany doors. 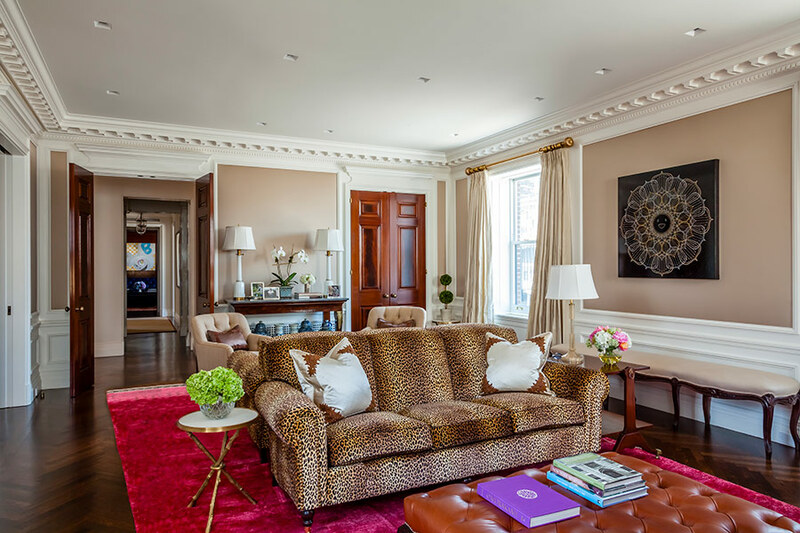 The living room cleverly plays with bold patterns and colors, using lush, rich fabrics such as leopard upholstery for the sofa, a rose-tinted silk carpet underfoot, and wall panel coverings in spectacular light fabrics from Annekini. 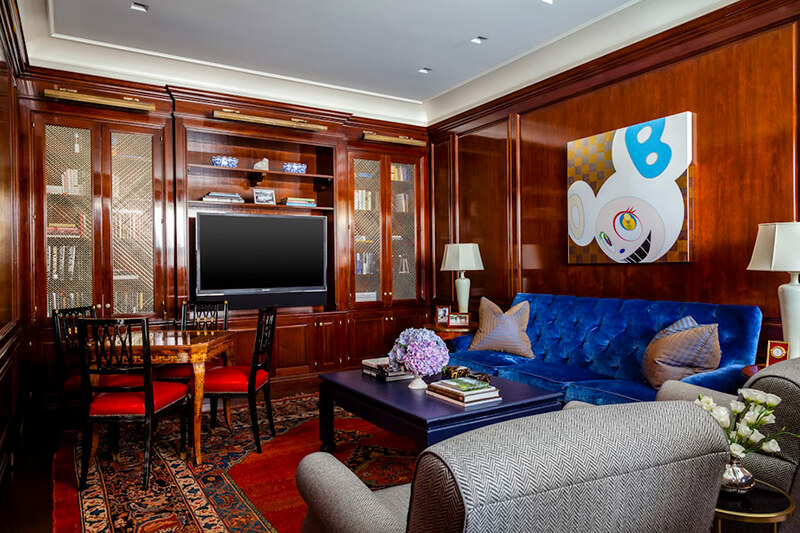 All pieces were extensively researched and sourced to acquire unique pieces, such as the oversized hardware Ralph Lauren drapery rings and massive brass rods. 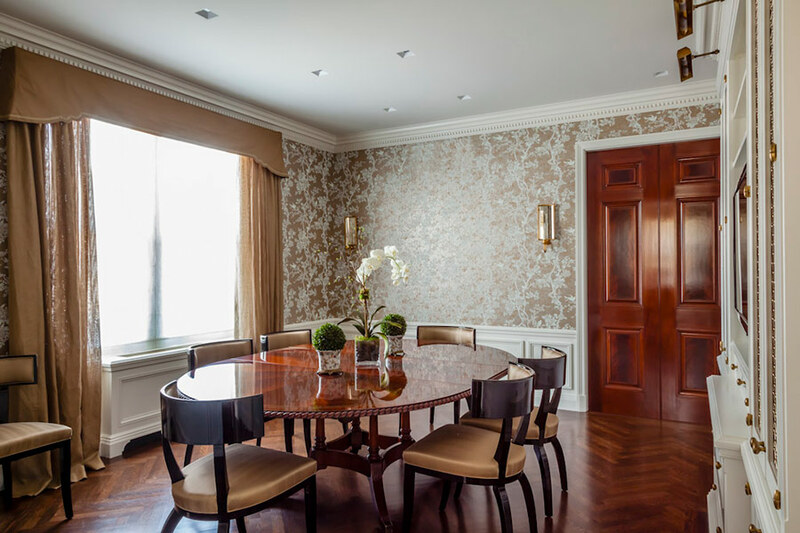 The dining room centerpiece is a custom designed mahogany table, with black lacquer chairs hand crafted in Italy. 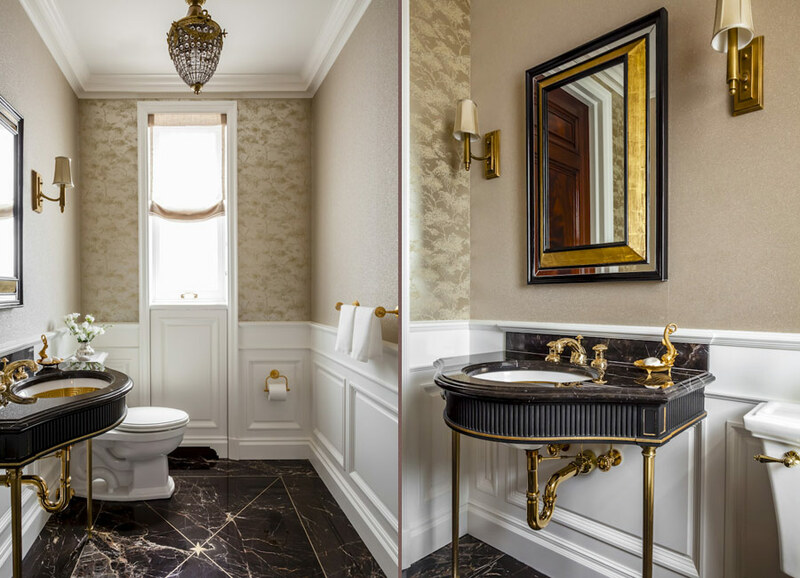 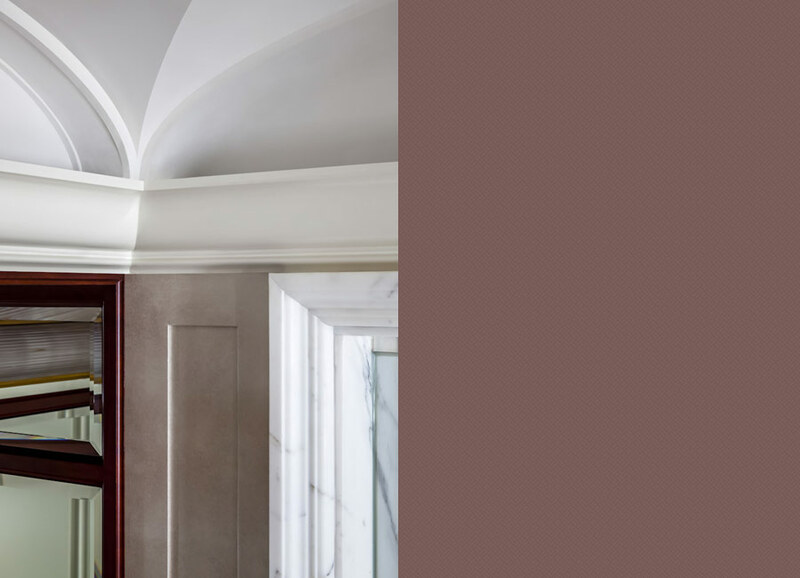 JWD delights in working with both exposure and evening light, to ensure an ideal flow of light in the room throughout all hours of the day, and the wallpaper is a gold and silver leaf that reflects the light.